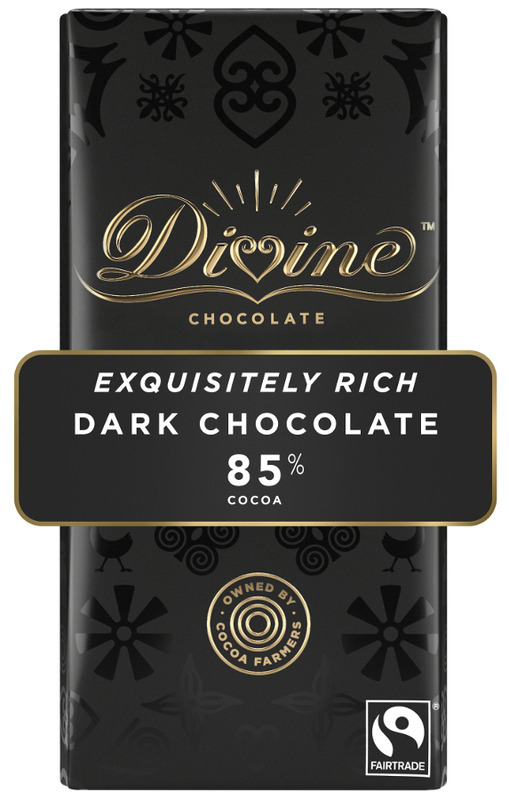 All of the cocoa in Divine chocolate is grown in Ghana by Kuapa Kokoo, a co-operative of cocoa farmers who own the largest share of the Divine company. It means the cocoa farmers receive 44% of the profits. 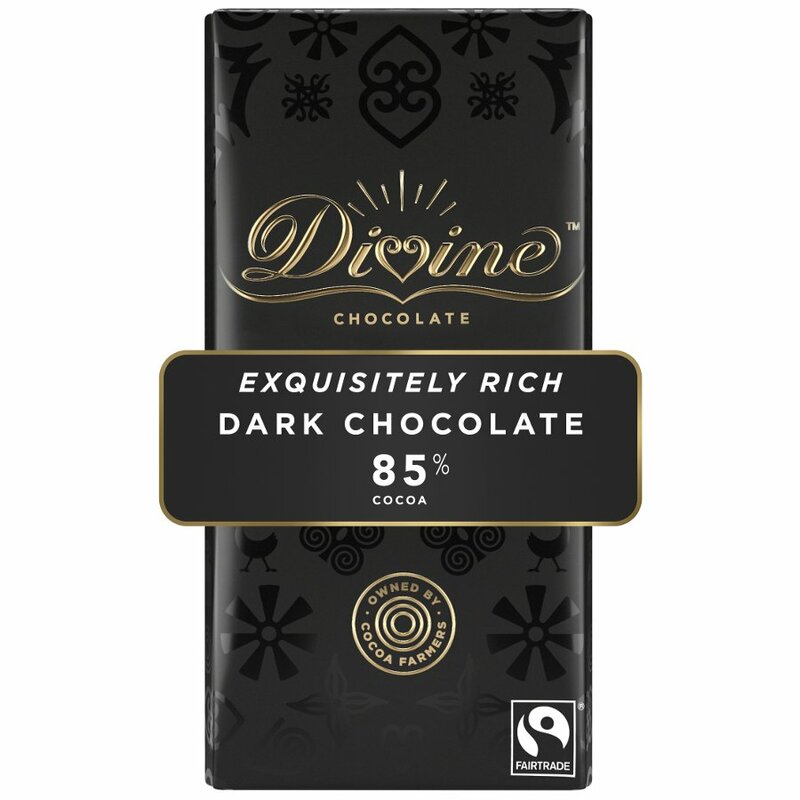 The chocolate is sweetened with sugar from Kasinthula, a Fairtrade co-operative in Malawi and flavoured with creamy vanilla from Fairtrade farmers in Madagascar. Owned by cocoa farmers. 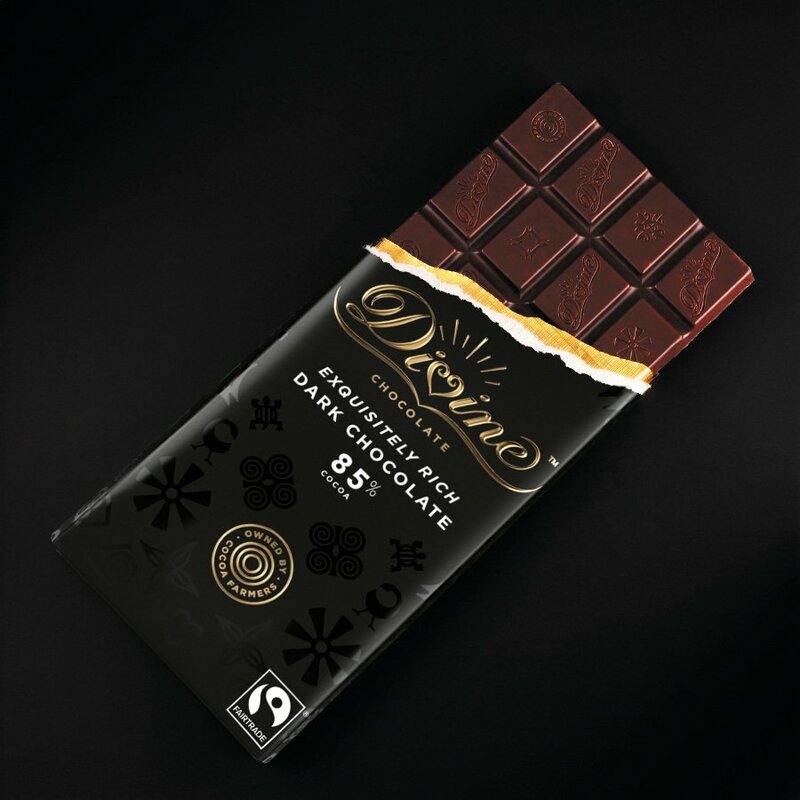 90g bar. Also available in a 40g bar. 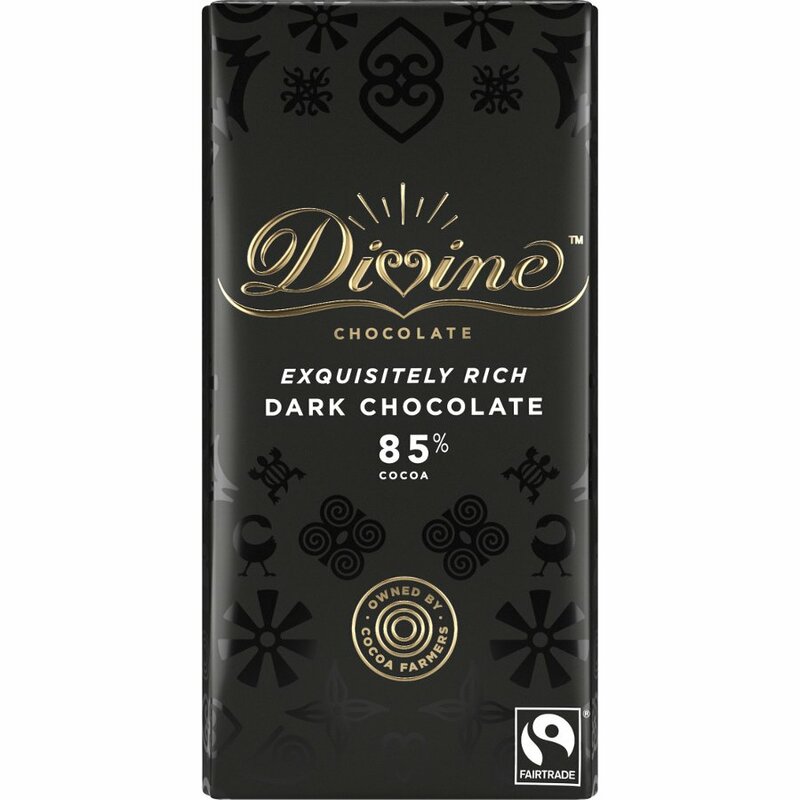 There are currently no questions to display about Divine 85% Dark Chocolate.